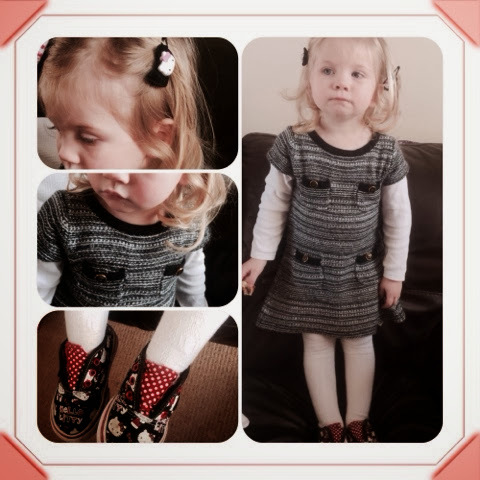 Today my beautiful daughter, Maegan age 2 is Chanel Chic in her adorable knitted dress from Baby Gap. • Long sleeve white tee (pack of 2) - h&m organic. • White patterned knitted tights (pack of 3 pairs) - Mini Club at Boots.